...the starter motor will continue to keep trying to start the bike and even if I turn off the engine, it continues to keep trying. 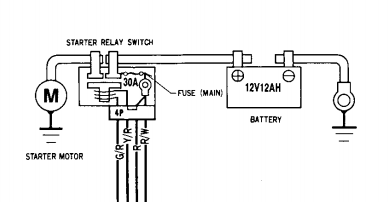 Does the solenoid/relay have power even when the ignition switch is off? Last edited by DavyH; 12th February 2019 at 10:00 PM.